Chappie has the rare distinction of being a movie that I both love and hate. I love it for its violence, humor, and subject matter. I hate it for its violence, humor and subject matter. I went in to Chappie expecting one type of movie, and I got a completely different type of movie. Both are the types of movies that I like, but one wasn’t the type of movie I was wanting to see. If that sounds confusing, don’t worry, I’ll elaborate. Let me start by saying this: Hugh Jackman, Dev Patel, and Sigourney Weaver were all great. They made fully fleshed out characters of their precious little screen time. It’s always a pleasure watching talented actors do what they do. Chappie is the tale of a robotic police officer who is decommissioned from service and is used as a test subject for a new type of artificial intelligence.Things don’t go according to plan and the newly sentient robot finds himself aligned with gangsta thugs looking to use him to further their criminals schemes. So let’s talk about what I loved. The effects in Chappie are seamless. You quickly forget that you are watching an effect and connect with the titular character. Every shot is carefully planned and acted to perfection by Sharlto Copley. The era of mo-capped performers is truly in its renaissance. With characters like King Kong, Gollum, Ceasar, The Hulk, Ultron, and Chappie all coming to life with extraordinary precision. The humor is great. Plain and simple. Chappie has a quite a few laughs. Almost all at the expense of our poor hero’s infantile naivety. Chappie’s evolution into a gangsta is a fun romp that you’re sure to chuckle at. What can I say about the subject matter? It’s Short Circuit meets Robocop 3. That’s about the gist. Chappie builds up to a third act that is balls to the wall action packed. Guns, Bombs, Knives, Robot on Robot violence, Human on Human violence, Robot on Human violence, Human on Robot violence. It’s kinetic and exciting and everything you could want from a movie like this. Hooray for simulated violence! So why did I hate it? Let’s go there. The humor is annoying. Yes I laughed out loud at Chappie’s development. But the unintentional laughs were groan worthy. 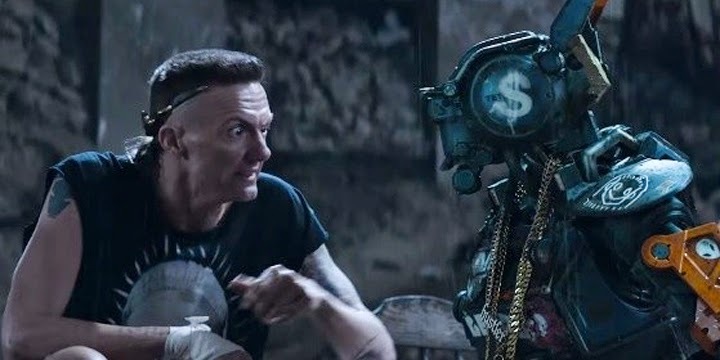 The film stars a robot, yes, but it costars South African Gangsta rap duo Die Antwoord. That in itself wouldn’t be so bad if they weren’t laughably unbelieveable as the thugs they so desperately try to portray. 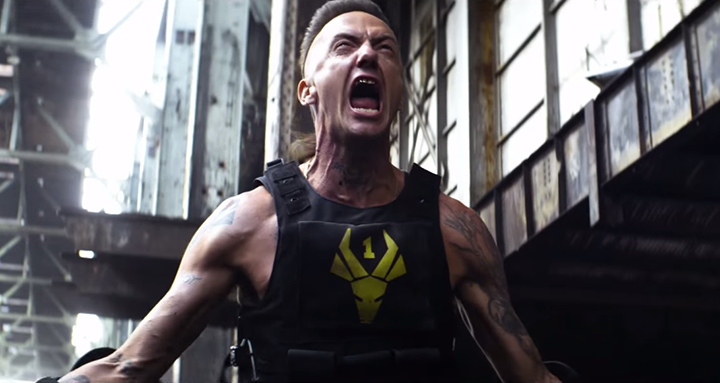 Ninja is a lanky unthreatening dipstick whose every expression makes me want to see Chappie punch him in the junk. Don’t get me wrong, he’s a talented musician. Dig his work. Truly. But keep it on the LP’s bro. Yolandi is equally frustrating. And equally un-believable as a criminal. She plays what I can only assume is a caricature of her musical persona. When she’s trying with all her might to be a motherly figure for our hero, she’s at her best. The two “actors” by themselves wouldn’t be so bad if not for the copious amounts of self promotion they litter the film with. Down to wearing their own groups clothing. With their band’s name on it. Seriously. On to the other bits that boiled my blood. The violence isn’t something I would normally balk at. I’m no prude. It’s only that it felt like filler for a wasted opportunity that director Niell Blomkamp was either too afraid to dive into, or didn’t realize that he should have. That is the subject of sentient, artificial, man-made consciousness. What a rich, philosophical, deeply thought provoking concept. To create a consciousness. A consciousness that thinks and develops faster than any human. What would it be? Would it transcend humanity? Become its undoing? Usher in a new understanding of science? Destroy religious perceptions of the immortal soul? We will never know because robots make boom boom with the gun guns. Short of a few fast insults like calling Chappie “Godless” we never get to explore what it would mean for the world to be exposed to intelligent man-made life. The repercussions. That is why I hated Chappie...and why I loved it. 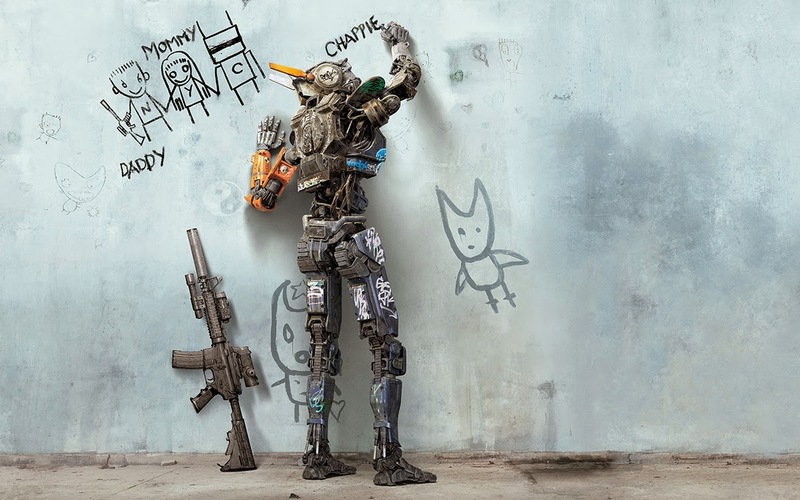 Go see Chappie for a robotic action flick with enough laughs to keep it light. Despite the hard R rating. Don’t go see Chappie for a robotic action flick with enough laughs to keep it light. Despite the hard R rating, because it fails to deliver the true weight of a sentient robotic consciousness’ effect on a harsh world.